Maybe it's because I'm a girl, but I feel like there are so many more options for us ladies during the holiday season. This is the second and final part of my holiday gift guide series, but if you guys have any requests for other specific people in your life, feel free to send me an email and I'll help you out as best as I can! My favorites here are the Naked Palette (I use it every day! 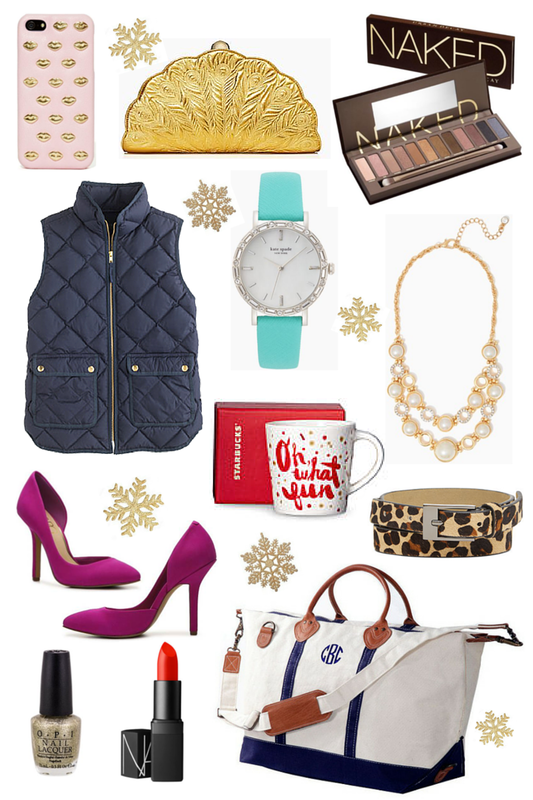 ), the Puffer Vest, and the Monogrammed Weekender!